"Last October at our first-ever kayak fishing tournament in Kentucky I was lucky enough to win a fly rod donated by Temple Fork Outfitters and Reel Recovery. 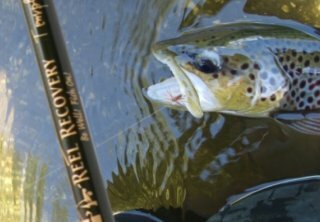 TFO makes affordable, high-performance fly rods, and if you haven't heard of Reel Recovery, they're a national, non-profit organization that conducts free fly fishing retreats for men recovering from all forms of cancer. 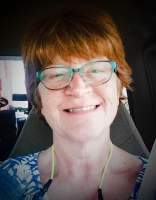 Something that inspires me a great deal after having lost my husband to cancer in 2008. If you..."
"It didn’t take me very many winter fishing trips to realize I needed to get more serious about insulating from the cold. My first cold temp kayak outing was with YakAnglers Mark and Adam, along with Adam’s wife Lauren and some other YakAngler alumni. Within an hour, my fingers felt like they were going to shatter and the rest of me, chilled to the bone. Since I was the oldest person on the water that day I wasn’t about to..."
"After what seems to have been a continuous, non-stop rainfall the first half of this spring, I decided that if I was going to get to fish much I needed better rain gear. Not that I'm afraid to get wet, but sitting soaked in a kayak for several hours on a chilly day can be more than a bit uncomfortable. 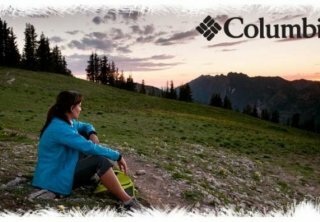 I decided on the Storm Surge Pant for Women from Columbia Sportswear. Storm Surge features Omni-Tech® technology,..."
"A couple of months ago, the Outdoor Blogger Network had a gear review giveaway opportunity for one pair each of men's and women's Bogs® Boots. 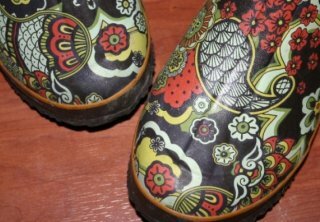 I threw my name in the hat and crossed my fingers for a win, since I had been shopping for a good, warm pair of boots to use in my winter kayak fishing trips. Unfortunately, the RNG (random number generator) didn't smile down on me that day. 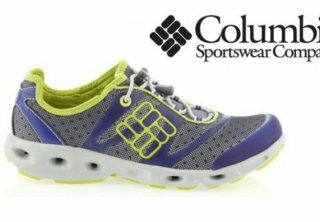 FlyFishilicious author Jen K. was the lucky..."
"After several weeks of trying to decide what shoes to buy for my next round of wet wading adventures, I finally made a choice and received my Women's Powerdrain™ shoes from Columbia a couple of weeks ago. I took them out of the box and looked them over. Two layers of differently sized mesh looked like they would keep small rocks and debris out of the shoe. 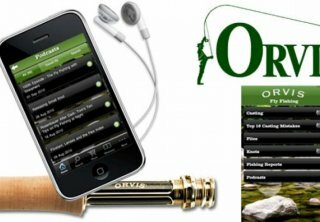 The shoes appeared well made and were very comfortable when I tried..."
"The Orvis Fly Fishing app is not only a great resource for the novice fly-fisher such as me, but would be useful to the experienced anglers as well. The amount of information packed into this app is unbelievable. In fact, before I made this purchase I had been literally dragging around the LL Bean Ultimate Book of Fly Fishing anyplace I thought I may be able to steal a little reading time. Now that information is neatly tucked away..."
On Saturday, September 8, yak anglers came out in strong numbers to fish the last regular-season Saturday in the Canoe KY ECKFS. The cooler temperatures of late have been ideal for fishing, and with a high of 78 degrees this day was no exception. The clouds and chances of rain did not deter the faithful, nor did they turn into much of a problem as the day progressed. The summer temperatures are still holding, though they were a little milder for the Wednesday evening ECKFS hosted by Canoe KY. There was a good turnout, and a good night of fishing was waiting. The top five anglers turned in a grand total of 144.75”. Not too shabby for approximately three hours of fishing time. On Wednesday, August 15, there was a good turnout for the Canoe KY ECKFS. With weather pretty much as expected for the middle of August and the water levels strong, fishing turned out to be very good for this evening’s tournament. This past Sunday evening, we fished from 5:00 pm to 9:00 pm in the ECKFS. Since this week's Wednesday tourney fell on the 4th, we decided to move the event up a couple of days to free folks up for their families on the holiday. Since it was technically a weekday tournament, we would count the two biggest fish we caught.